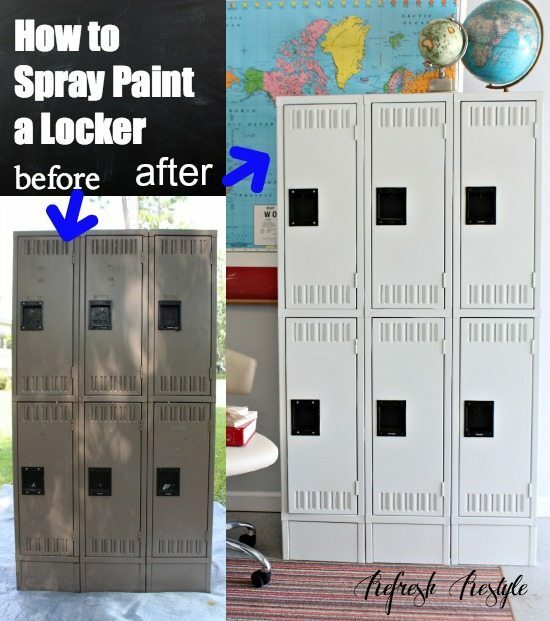 Today I’m sharing How to Spray Paint a locker, how many times have you spotted an old dirty metal locker and passed it by because it looked bad. Well you can use my method and spray paint it with chalk paint or chalk based painted just like you would any other piece of furniture! I fell under the spell. 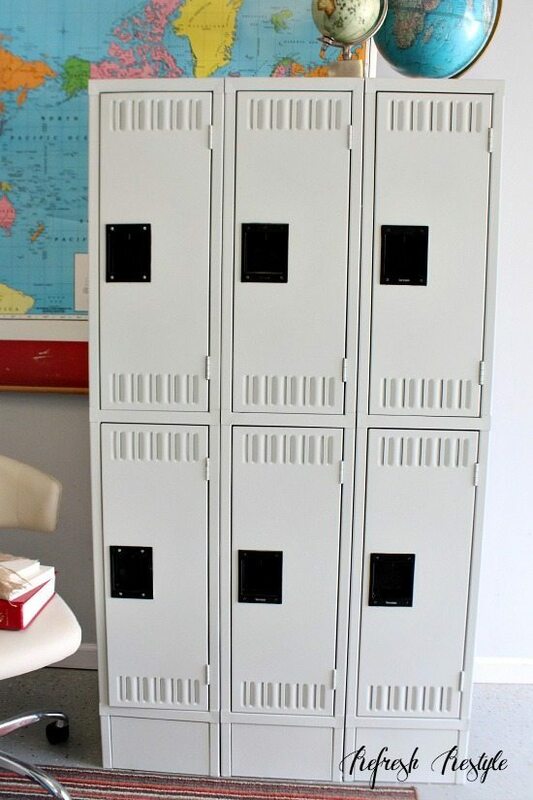 The spell of wanting an old school locker! I know you want one too! 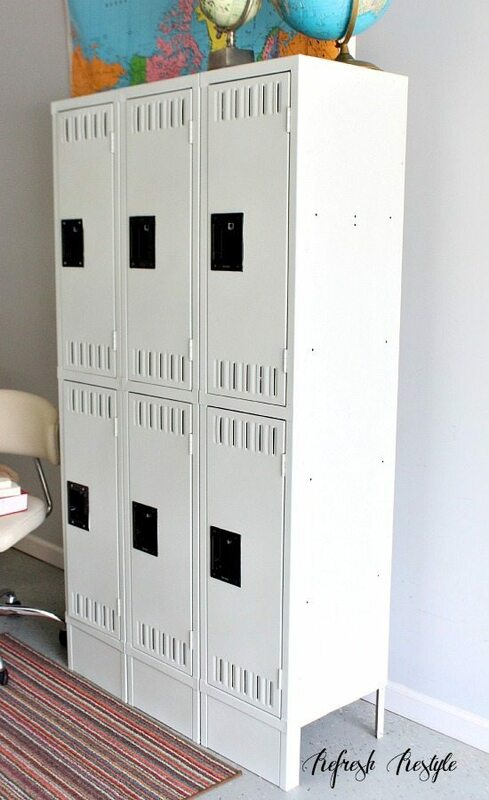 My friend Sarah posted on Facebook that she was selling 2 sets of lockers. I guess it was my lucky day. I responded and ran down to Savannah and bought them. Then I got home and tried to figure out what I’d do with them. Several minutes months went by and I still didn’t know what to do with them. So I decided that my children need them. I gave my daughter one and told my son he was getting one too. And then I decided I’d paint his. Not just paint it,but spray paint it with my HomeRight Finish Max Pro Fine Finish Sprayer. 1. Clean the locker, scrape off old tape. Tape off the area where the latch is located. 2. Follow the directions for the sprayer, super easy assembly. There’s also great directions for the viscosity of the paint. 3. Plug in and get ready to transform your piece. 4. Spray the first light coat. When it dries, spray again. Finish with a top coat or wax. It looks so much better and it was such a quick makeover! This thing had so much tape on it, I think it took longer to peel the tape off than it did to paint it! Students, don’t put tape on your locker, please! I can’t decide if I’m lazy or smart! Hi! I just adore this. I know this is an old post but was wondering if you just sprayed right on the hinges? Thanks so much for all of your tips. Hi Kristen, yes I did spray over the hinges. It still looks great! Hi! 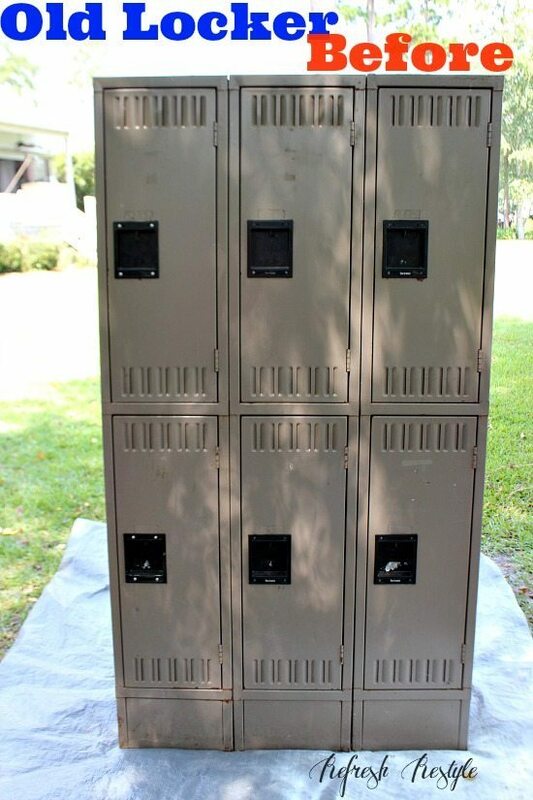 Love this project, and I’m curious how you cleaned the lockers to prep for paint. I luckily acquired some lockers for free, but they are an eye-burning shade of yellow AND they were used in a welding classroom. I’m stuck as to how to get them clean! 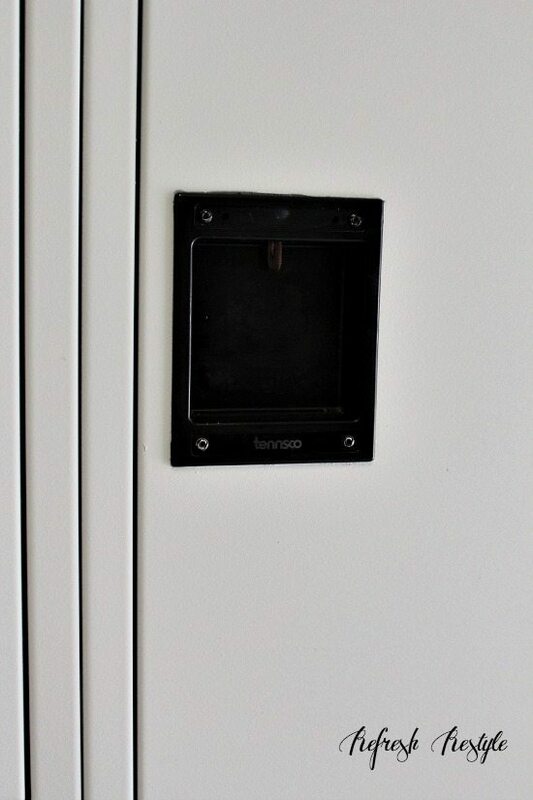 Hi Emily, I cleaned the lockers with TSP, you can get it at Lowe’s or any hardware store most likely! Good luck! I would be painting everything I could get my hands on! I have two daughters who were recently married and just starting out, so this would get a workout as I help them with decorating projects. 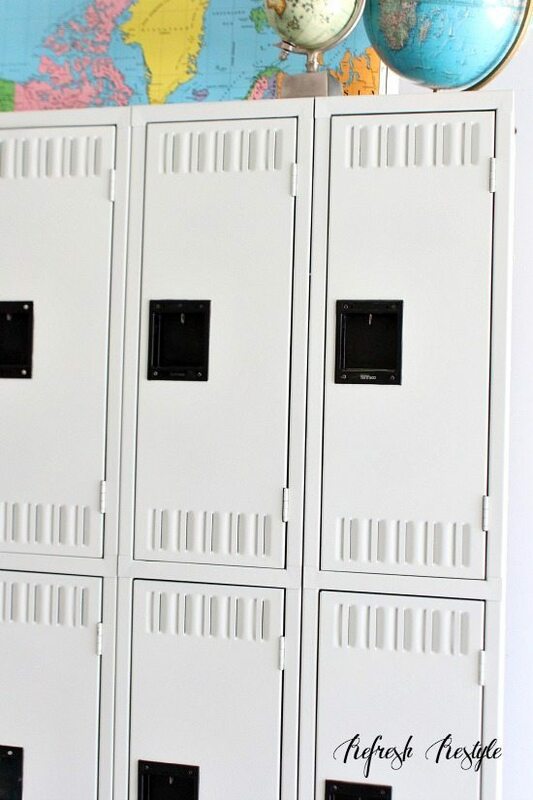 I would LOVE to find lockers like that, these look fabulous! I would paint my porch! Every piece of furniture in my home….starting with a dough tray end table. I have an old armoire that I want to paint red and use for a pantry. I have a chest of drawers that need painting,then a cupboard,then more!! I have a set of lockers in my garage not serving me well there. Time to spray paint it and solve a storage issue in my craft room. I just need this paint sprayer! Hello, I would paint my dining table. I have been meaning to do it for years but wasn’t really sure how to do it. If I had the right tools, I think it would be a breeze. Thanks for a great giveaway! OMG, I have so many things to paint, I cant even start to name just 1! What would I paint? Too many things to list here. We are in escrow for a 1936 Heritage home. I’d probably paint everything! Starting point…pergola. I have so much I would use this for! I have recently started homeschooling 2 of my boys so I’m constantly repurposing things that are in my house to use for school – dragging things out of the closet and giving them makeovers. There is so much I could do with this! 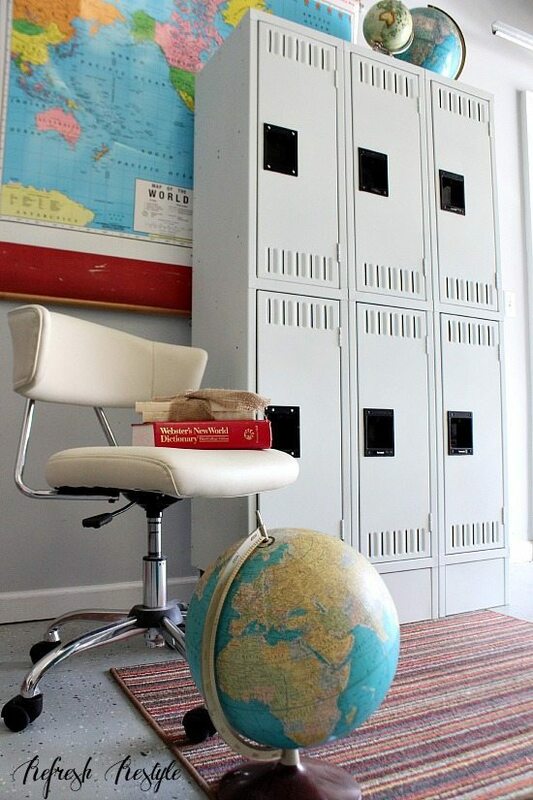 File cabinets, TV tables, bar stools…the possibilities are endless! I gave up on sprayers years ago. Now everyone is talking about this one. 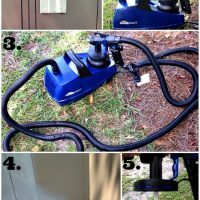 Years ago there was no way to know if a sprayer was great.every DIY site talks about this sprayer. Hope to win it. Yes please. This sprayer would be very handy in my household. I have a wicker set that I would love to refinish in a fun color! I would paint it all!!!!!!!!! I would paint my living room that I’m getting ready to redo!! What a cool idea! If I had a sprayer like that, it would fuel my love of refinishing furniture!! I would paint my new pallet pot holder!! I would LOVE to win this!! I would repaint all of my interior doors…they’re in sad shape!! So many things to paint! Where do I start??? Hey Debbie, Did you also find lots of chewed gum stuck inside those lockers? Maybe that’s just under the school desks. VERY cute restyle! I would LOVE to win this!!! And just getting my feet wet with painting too!!! Eek! I hope that I could use it to paint a board fence, quite a long one. Love the lockers! How much easier it would be to spray paint them than brushing or cans of spray paint! 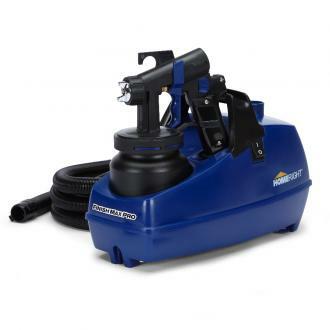 I have such a backlog of things I want to paint and this almost makes me giddy just thinking about this sprayer! If I don’t win, I would sure like to look into buying one! I have soooo many pieces of furniture ready to paint …… and no paint gun! I would absolutely love to win this paint gun to help me out of all this painting! Dang. I think I could paint my house with that bad boy. lol!! Love the lockers and I’ll go with genius. I would use it to spray paint my line up of DIY furniture projects. I especially liked the idea of top coating it with the water based varnish. I never knew you could do this with the HomeRight Finish Max Pro Fine Finish Sprayer. A-MAZING results !! I would love to repaint all my doors in the house, including the front door, after 6 years and now that my kids are out of the toddler state and finished using their doors as artwork, they really need a repaint but I’m dreading it by hand, this would make it so much quicker. I would paint my porch & house if I won. It would sure make it a lot easier! I would paint a desk that really needs a new look. Thanks for the giveaway! 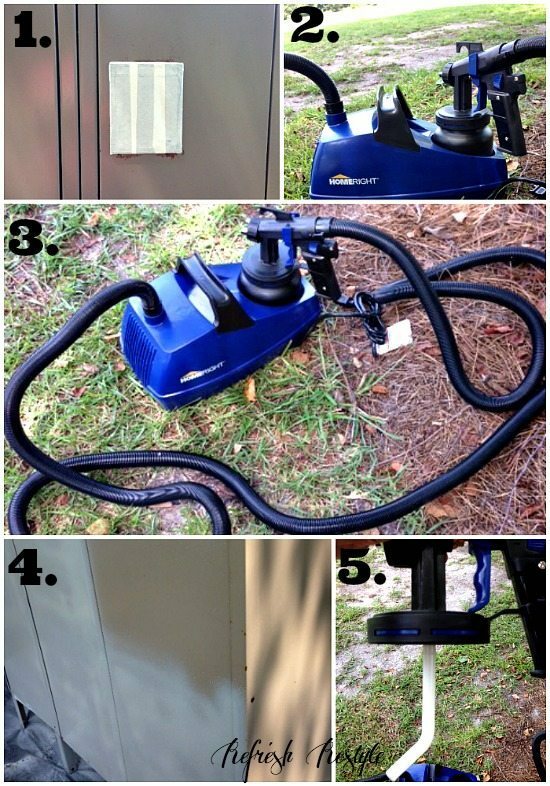 I would use that sprayer to paint my kitchen cabinets!!! 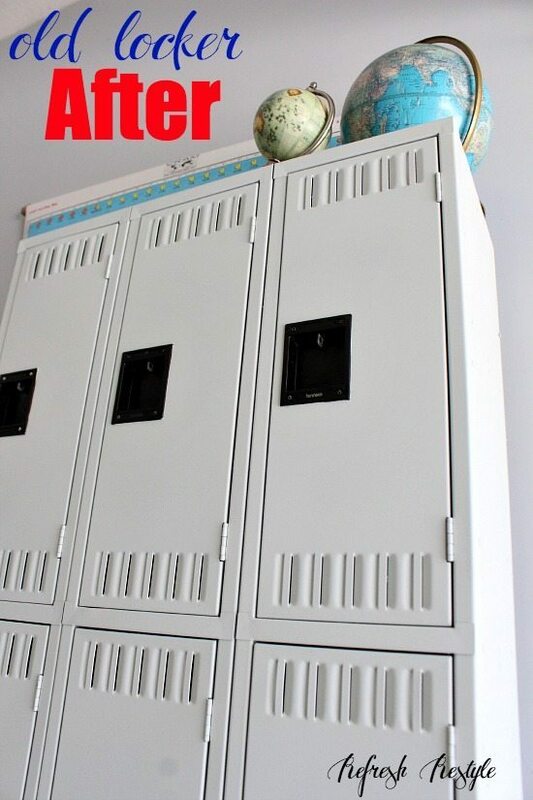 Love this giveaway and love how your lockers turned out! water based matte varnish? tell me more! 🙂 what brand do you use? The lockers look great Debbie. Super job. I need a paint sprayer sooo badly! I have 3 projects waiting on me right now that I need a sprayer for! I would love to have this for my MANY furniture painting projects! And the locker looks amazing! what a score! A paint sprayer would help so much! I would love to get a Homeright paint sprsyer. There are so many projects that should be sprayed not brushed. It is certainly on my wish list.